The pharmaceuticals market in France is set to decline from $35.5 billion in 2017 to $34.16 billion in 2021, representing a negative compound annual growth rate of 1%, according to GlobalData, a recognized leader in providing business information and analytics. The company’s latest report states that despite France’s robust public health insurance system and rising elderly population, increasing pressure on pharmaceutical selling prices, patent expiration of branded drugs and foreign exchange fluctuations are stifling growth. The government is currently focusing on the use of generics as a cost-containment tool to reduce healthcare expenditure. Indeed, the generics market is mainly driven by a favorable regulatory regime and a continuous wave of patent expiries, acting as a barrier to pharmaceutical market growth. France follows external reference pricing, which is linked with other European countries such as Germany, Spain, Italy, and the UK. A price cut by any of these countries’ governments will quickly translate into price reductions in France, and repeated price cuts have curtailed the rise in healthcare spending. France’s reimbursement policy is grounded in clinical effectiveness rather than the cost-versus-benefit approach that other countries such as the US and the UK employ. This means that pharmaceutical companies take a higher risk in order to see returns on innovative products, and new drugs have to demonstrate a level of improvement over existing products, which can be seen as a deterrent to investment. Healthcare companies looking for opportunities within the French market should focus on the growing demand for innovative medicine and biotechnology, which will enable new therapies to command a premium price and influence the value of the market. 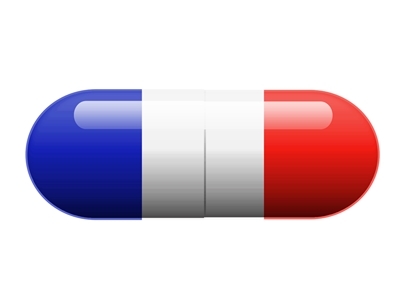 Financial incentives and tax credits from the French government to support pharmaceutical R&D will promote new prospects for small biotechnology companies, a growing number of which have been operating in France over the past decade. – Information based on GlobalData’s report: CountryFocus: Healthcare, Regulatory and Reimbursement Landscape – France.